I am the creator of Parks Inner Child Therapy (PICT). 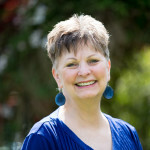 A pioneer and expert in the field of childhood abuse (recognition, treatment and training) – having developed the first stand-alone Inner Child method of therapy. I was born in America (1943) and have lived in the UK since 1982. My work with survivors in England evolved into two books; the PICT Trauma & Abuse Specialist Skills Training course and various workshops. Books – Rescuing the ‘Inner Child’ (1990, Souvenir Press) – a self-help publication and The Counsellor’s Guide to Parks Inner Child therapy (1994, Souvenir Press). Both books have continuously remained in print. My home is in Suffolk, England with my husband Rod, I retired in 2017 and now enjoy walking my dog, Pixi, and my hobbies as a vocalist in the band White Dog and as an artist. Although retired, I have been privileged to accept the invitation of Honorary Fellow Membership of both the National Council of Psychotherapists (NCP) and the National Counselling Society (NCS). I am a psychotherapist, trainer and supervisor with a private practice in Surrey/South East London. My qualifications and experience includes specialist post-graduate training in Cognitive Behavioural Therapy; supervision; trauma and dissociation–including EMDR and Lifespan Integration, and working therapeutically with children. In therapy, an empathic and informing stance is important to me. I want clients to feel safe and understood whilst working purposefully towards feeling better. As a trainer, I aim to encourage and equip students to reach their potential, and as a supervisor I enjoy working collaboratively to support and enable supervisees to offer effective treatment whilst developing professionally. Having been invited to present other training courses, I declare a unashamed preference for PICT, having found it personally life-changing. It is a privilege to work with PICT trainees and I take delight in observing students grow individually and professionally while they learn the model. In addition to presenting the PICT course and workshops, I also offer training in counselling, listening skills and counselling children. 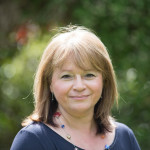 I am an accredited member of the BABCP (British Association of Behavioural and Cognitive Psychotherapy); the BACP (British Association of Counselling and Psychotherapy) and the ACC (Association of Christian Counsellors) and a senior accredited member of the NCP (National Council of Psychotherapists). I am married, have two sons and a menagerie of animals. In my leisure time I enjoy gardening and a variety of arts and crafts.